We visited the Centre for Life this week. We have an annual pass, and we’ve certainly had our money’s worth so far, though with all this glorious weather we’ve been enjoying lately, we haven’t wanted to go in the past few months. A wet and rainy Wednesday persuaded us to dig out the annual pass once more. The first thing we did on arrival is grab a locker (£5 deposit, £4 is returned when you hand back the key). The lockers are roomy and they are right next to the toilets and entrance, so we can just dump all our stuff there and wander round unhindered. Then we were free to go in and play! 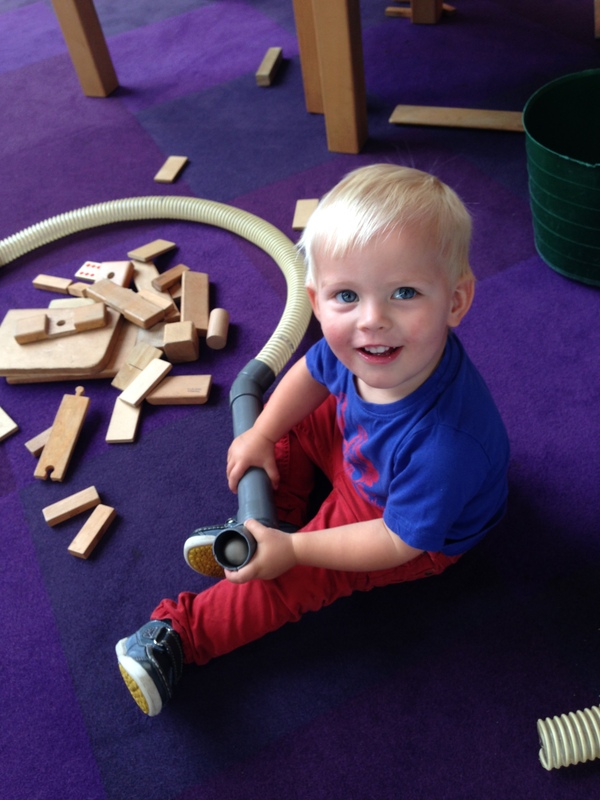 One of the great things about the Centre for Life is that nothing has instructions – you’re free to play with the items as you like – there isn’t a ‘right way’ do to things because you’re exploring and learning as you experiment. We stopped playing to have a bite to eat. The Kids’ Meal Deal costs £3.50 (though with the annual pass we get a 10% discount) and you can pick four items from the menu and grab a drink. The drinks are not the healthiest; Fruit Shoots or cans of fizzy pop. 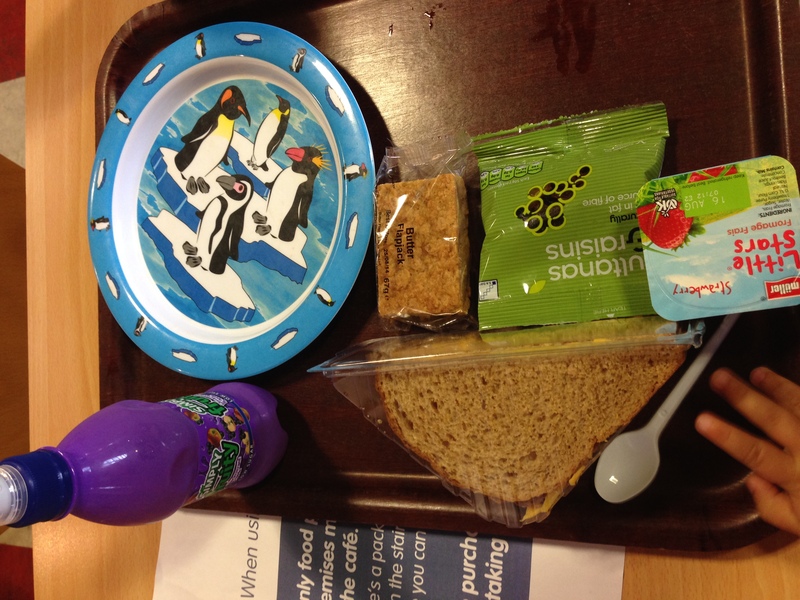 James loves the yoghurt and the sandwich. I like that the rest of the deal is pre-packaged so it can be stowed in the locker for later! The restaurant is right by the Planetarium. James remembered the Little Monsters show in the Planetarium from the last time we visited, and frequently wanted to get down from the table to go and see those Monsters! 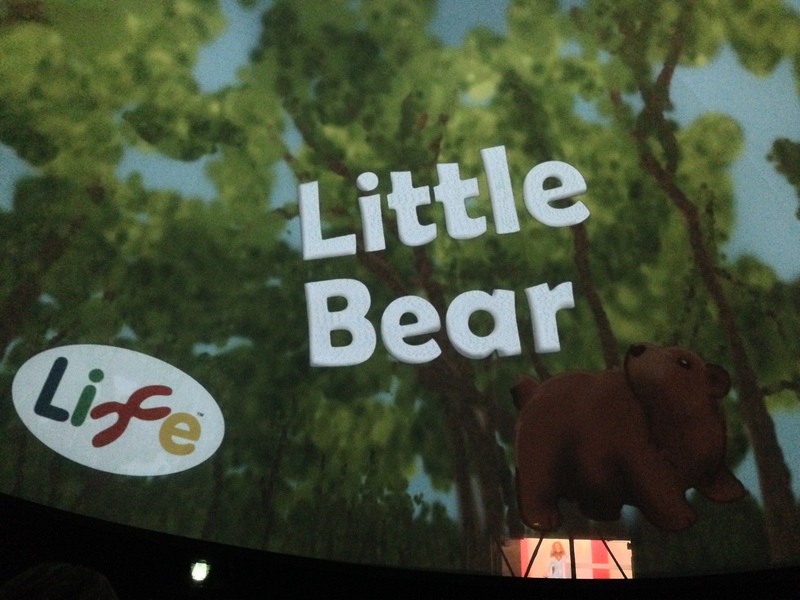 That show isn’t playing any more, and now it’s the Little Bear show. The show is very sweet. The narrator tells the story of a little bear who can’t sleep, so she runs to the edge of the wood to look up at the stars. She draws shapes around the stars she sees to make the constellation animals, and eventually finds the little bear shape. James loved to see the stars and the moon. James putting the ball inside the tubing! After the Planetarium show (they only last 10 minutes) we went to play with some of the other displays they have downstairs, like the sand/light box, the make-your-own ball run and the building blocks. James likes the magnets you can attach to the pillars, and also some parts of the evolution section. Then we headed upstairs to the Under 7s floor. There are lots of different activities up here from a giant Connect-4 to a tuc-tuc and a soft play area with moveable foam blocks. There is also a fabulous role-play area, with a mini supermarket, a kitchen, and a garden (complete with treehouse!). 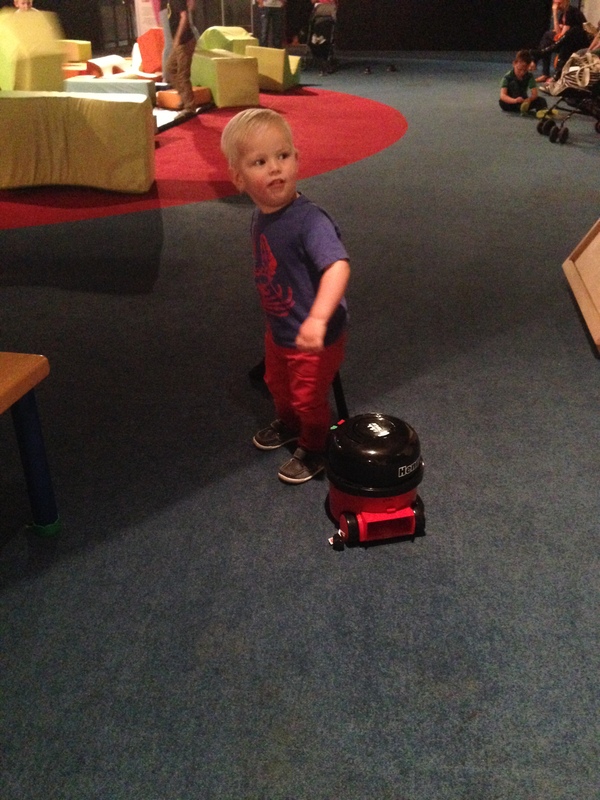 Today James only wanted to play with the Henry vacuum cleaner, and he happily cleaned the floor for 40 minutes! A lady commented to me, “We certainly know you are a clean lady; he has obviously learned this behaviour from your positive role modelling”, which was a very nice thing to say. If only I could get James to run around with the real vacuum at home! Eventually we had to leave due, in part, to my only having put 3 hours on the car park meter, and also because James was tired and sweaty! He ran everywhere while we were inside the Centre for Life today, such was its appeal. Fantastic trip to the Centre for Life today – we’ll definitely be back soon! The lockers are a brilliant idea, aren’t they?! The lack of instructions throw people off a bit, but you’re right – it’s great to achieve something you’ve figured out yourself. It sounds like a really fabulous place – I’ve not heard of it before. Like Kate I totally agree that the lockers sound super helpful! More places should do lockers! I guess they realise just how much stuff we lug around as mummies, and also caters to the many school groups they get.